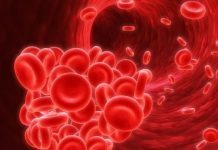 Home Blood Disorders What Is Anemia and How Do You Develop It? 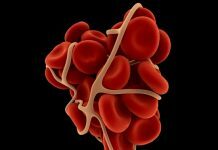 What Is Anemia and How Do You Develop It? It is essentially a decrease in the number of red blood cells in the blood. This can be because of these three reasons – blood loss, lack of red blood cell production, or high rates of red blood cell destruction. Based on the trigger in the body which makes the red blood cells decrease there are many different types of anemia. Here we explore the different ways in which a person can get anemia. What is anemia due to deficiencies? The severe loss of blood in a traumatic event can cause deficiency of blood leading to anemia. Of the deficiency of iron in the body can reduce the number of red blood cells that the body can produce. This over a period of time can again lead to anemia. The lack of folate or folic acid is a prime reason for people developing anemia. If the body is unable to make new red blood cells due to a deficiency of Vitamin B12 the resulting anemia is called pernicious anemia. 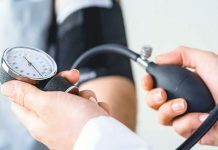 Any externally provided nutrient which is essential to the formation of blood cells and when found deficient in the diet will eventually lead to anemia. Based on what the deficiency is the name of the anemia is different. 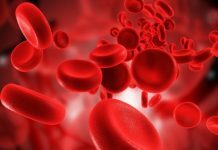 What is anemia of inflammation and chronic disease? We are clear with the concept of what is anemia, but anemia itself is caused by a number of factors. This includes an extended period of illness which may decrease the number of red blood cells in the blood. Cancer and inflammatory disorders can cause an abnormal activity in the immune system. This can cause anemia of inflammation AI, or anemia of chronic disease or ACD. Both AI and ACD can resemble the regular iron deficiency anemia. This is because over the course of the disease the body has been losing iron and not being able to make it up despite eating the right diet and taking supplements. When tested the blood will still show a deficiency of iron and that will be seen as the reason for anemia. Even the physical symptoms that AI or ACD show are similar to iron deficiency anemia. 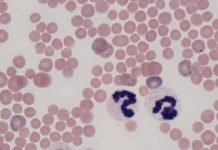 What is anemia caused by inheritance? Mutant genes cause what is known as anemia by inheritance. In this case it is not a deficiency in the diet or suffering from a chronic disease which lead to the developing of anemia. Here the body has a genetic defect which does not allow it to produce the red blood cells or makes it produce mutated red blood cells which leads to anemia such as in Sickle Cell Anemia. Then there is an inherited blood disorder called thalassemias which makes it difficult for the body to generate healthy red blood cells. This again leads to anemia. 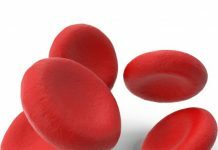 In hemolytic anemia red blood cells that are produced in the body are removed from the bloodstream before their lifespan finishes. This means that the red blood cell production in the bone marrow is unable to keep the balance in the blood leading again to anemia. In aplastic anemia the bone marrow is where the problem lies. It does not make enough red blood cells and this leads to anemia. Iron deficiency anemia is the most common type of anemia and can easily be remedied by dietary changes or an iron supplement. While red meat contains the most readily digested forms of iron, beans and legumes are great sources of non-heme (or plant-based) iron. Adding an iron supplement is perhaps the easiest and most efficient way to maintain the best iron levels. Previous articleWhat Are the Anxiety Disorders in Children and How to Manage Them?